This Magnetic Table top Easel is a perfect learning surface! Big 12.5 x 15.75 inches board features Write on and Wipe off white magnetic board on both sides! Perfect for use with magnetic letter, numbers or shapes. Self-standing easel folds flat for easy storage. EK Toys are both practical and durable with an educational value. Perfect for children 3 years and up. 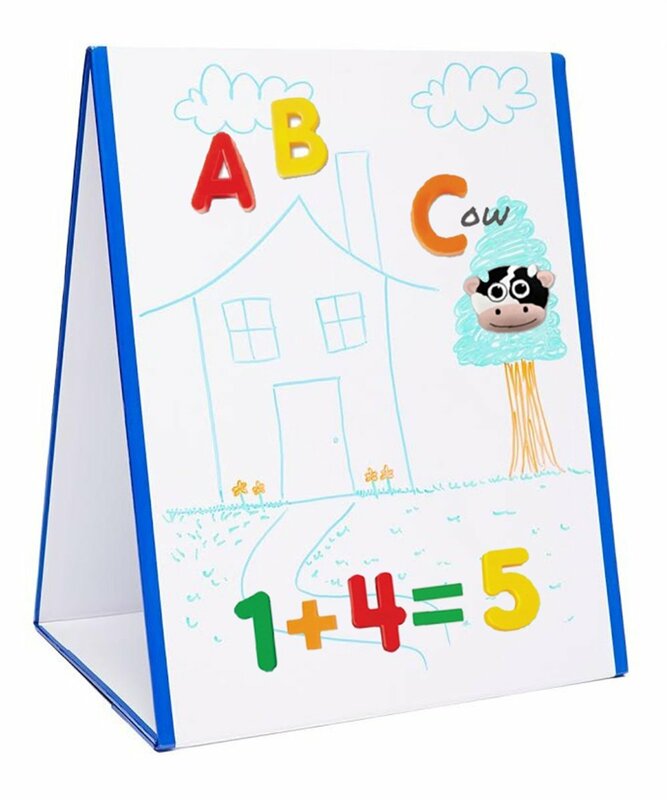 Double-sided easel board for solo or collaborative fun. This is truly an easel for Kids, Toddlers. Magnetized dry-erase board on both sides. This tabletop easel has a lightweight fold up design. Whiteboard works wonders with magnetic letters, numbers or dry erase markers. Ease to clean. Educational & Fun for Ages 3 & up. EduKid Toys "Educating Kids is Fun"